This has to be one of my favourite venues in Cornwall… the amazing food may have a little something to do with it. Brie & Scott’s little dude of a son gave one of the most confident speeches I have heard… oh, and there was a mighty fine beard! After meeting these guys a couple of times to hear about their plans, I was really looking forward to shooting their wedding. Bit of a challenge when it came to couple shots, Matt is one of the tallest grooms I have ever shot, and Tarleka, one of the shortest! 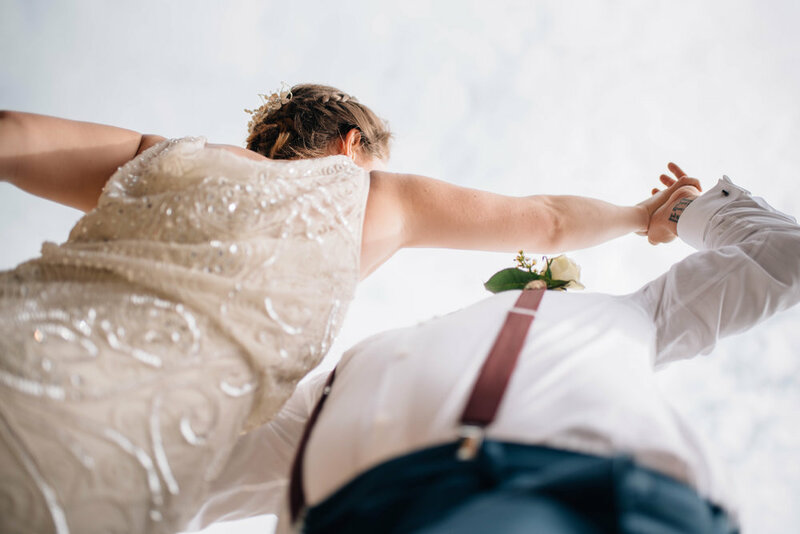 We had fun coming up with ideas, and Tar was brave enough to take the leap from the quay onto the pontoon… with a helping hand from her new husband that is! These guys were super excited to explore the massive grounds of Boconnoc, looking for locations for photos. Mirna managed to squeeze her dress into the back of my car, but Mark... he took his classic motorbike! These guys wanted to head to the beach for some portraits, my first trip on a golf buggy! What an incredible day this was. Awesome couple, amazing weather, lots of booze and a midnight pool party! 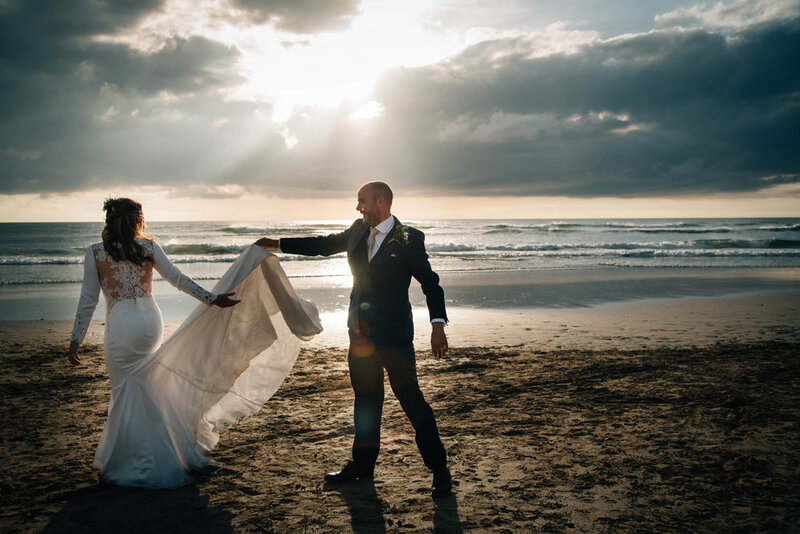 Hayley & Jack, Engagement shoot, Gwithian. It may have rained, Hayley’s flip flops may have broken, I may have layed down in a fresh pile of rabbit poo to get a shot..... but just look at that light! 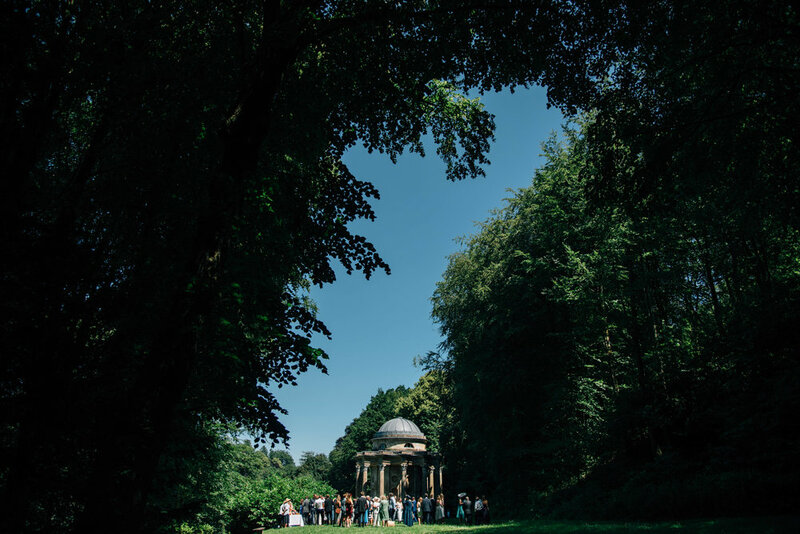 These guys had their ceremony at the beautiful, and very sunny Stourhead. Such a beautiful place, actually where they filmed some of 'Pride and Prejudice'. After the ceremony, David drove his new wife to Ashley Wood Farm in a classic, drop top Mercedes. The farm is a great venue surrounded by corn fields. The perfect location for sunset couple shots. Twyla & Jim's Oxfordshire wedding was perfect. The weather was incredible and the quintessential English country garden looked at its best. There were even doves flying above! These guys had already done the legal bit, so a relaxed outdoor blessing was followed by one, long party. Just after the ceremony, a band set up in the garden. 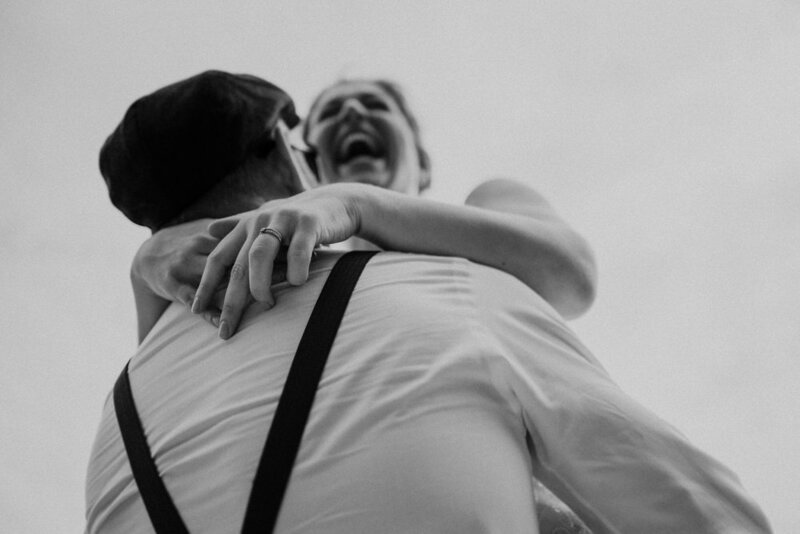 They sounded great, so the happy couple couldn't resist having an impromptu first dance in the sunshine! Oh, and I couldn't help but be totally impressed by the magician who kept the guests guessing. 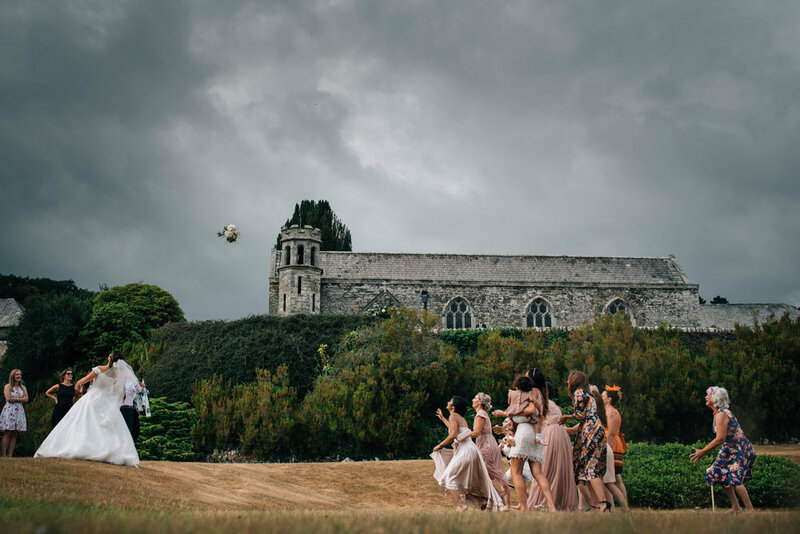 This amazing wedding all took place of the clifftop of the North Cornwall coast. 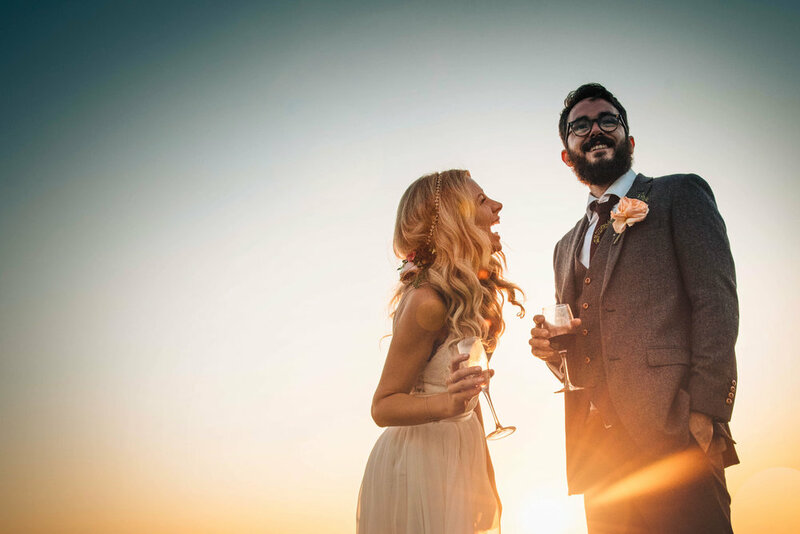 An outdoor ceremony followed by a massive party in a marquee. These guys wanted a quick trip down to the beach for some shots, then back up the road catch an epic sunset. Basically Cornwall at its very best! 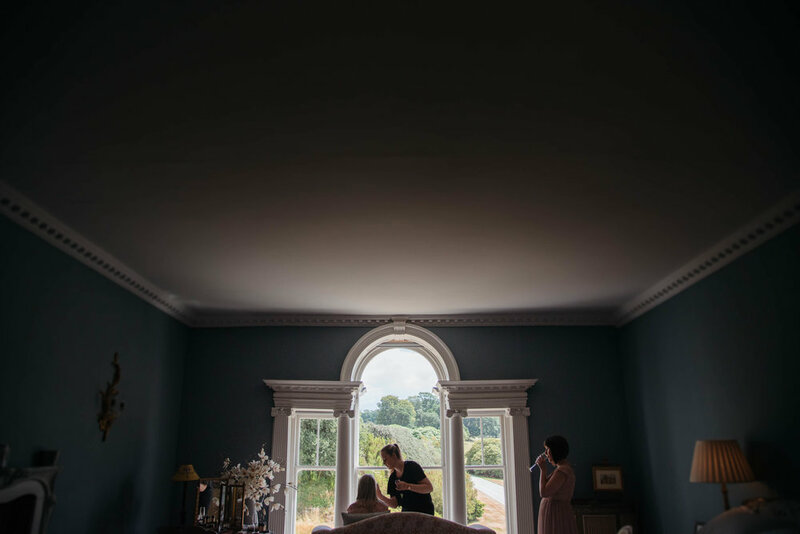 This was my first shoot at Pendennis, what a venue! Not my only first of the day, Hayley was the first Bride I have seen wearing a black wedding dress! A perfect example of a couple having their wedding day THEIR WAY! I feel its so important for a wedding to be your day, your way. 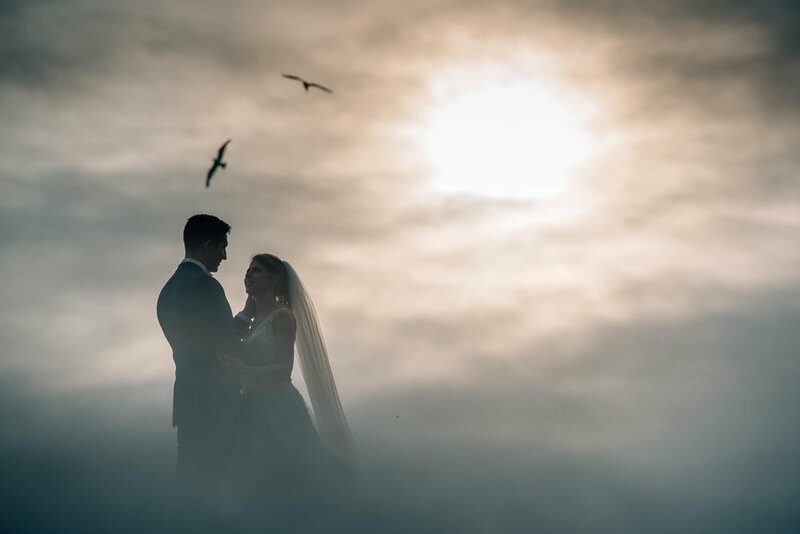 Pendennis was the perfect venue for these two. Well, this is exciting... for me anyway! I hope you like my new site as much as I do. Blogging will start ASAP, as I have lots of amazing weddings to share, and many more to come. In the meantime, check out 'my work' to get a feel for, well, "my work".